We had a great time with Davide, from the lunch at the wonderful restaurant he reserved for us to the dinner at the great restaurant he recommended. In between, we learned so much about Tallinn and Estonia, and that information was illustrated by the drive outside the old town and then back into the walled city. We would highly recommend him to future travelers. 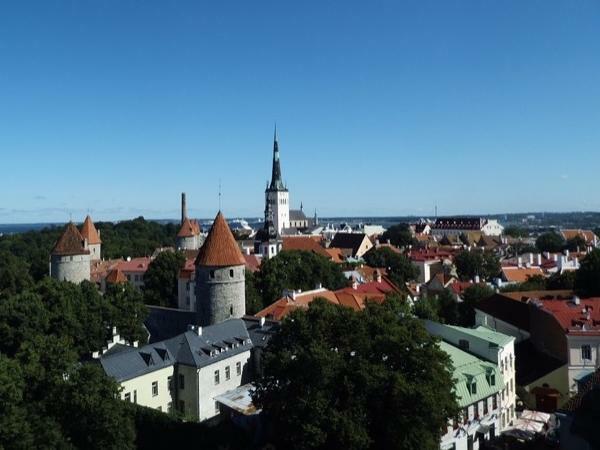 We were not on a cruise, simply staying overnight for a day in Tallinn, and found our time to be well spent.